Ridge Gourd is a vegetable which is mostly used for preparing Kuzhambu Recipes. 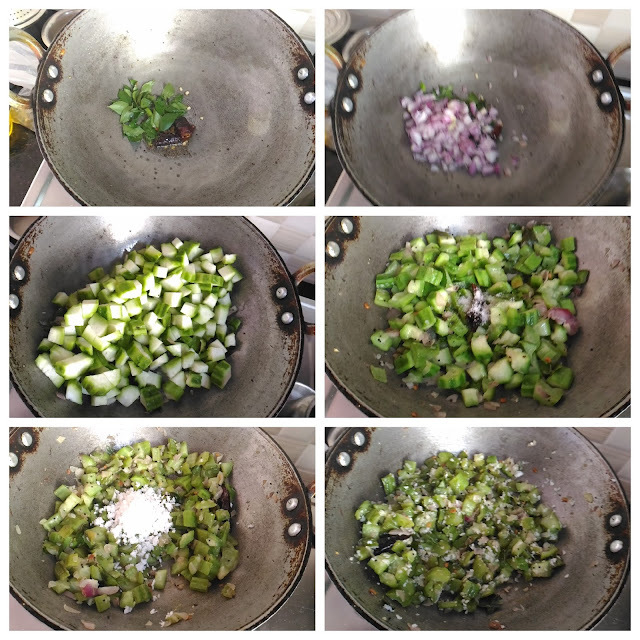 However, it is not widely known that it is also a very good vegetable for preparing Poriyal. Ridge Gourd Poriyal is also very famous in Kongu regions. I strongly recommend to try this atleast once. 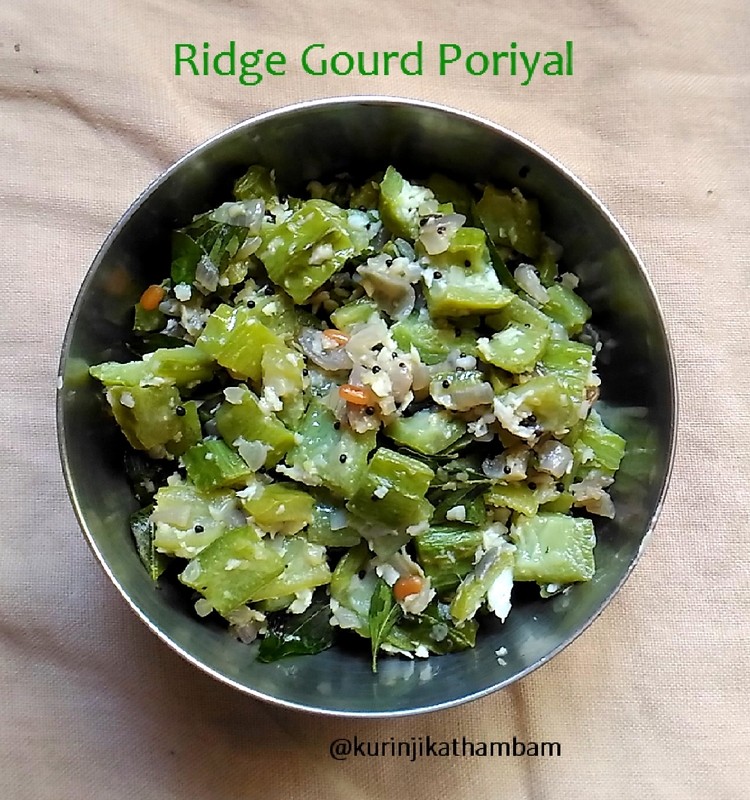 Click here to view more Ridge Gourd Recipes. 1. Wash and dry the ridge gourds with kitchen cloth. 2. Gently peel the skin of the Ridge Gourd. You should not peel till the white part. Just peel the embossed green part only. 3. Then cut it into 4 lengthwise pieces. Again cut these 4 pieces into small pieces. 5. Add curry leaves and red chilly (break it into two halves), fry till they become crisp. 6. Now add the chopped onion and sauté till they become translucent. 7. Then add the chopped Ridge Gourd pieces. Mix them gently and close the pan with lid. Cook for 4-5 mins. No need to add water. 8. After they become half cooked, add required salt and mix them gently. Cook till they become tender. 9. Finally switch off the flame and sprinkle grated coconut. Mix them gently and transfer it to serving bowl. 1. You should not add salt earlier, because the quantity of the Ridge Gourd becomes halved after half cooked. 2. You can make chutney with the skin of the ridge gourd.